In the mid 1990s the Prime Minister, John Major, and his Conservative Government devised a plan to regenerate the rundown, sparsely populated, area around the Greenwich Peninsula. This would begin with the construction of a temporary showcase building, along the lines of the Festival of Britain, that would usher in the third millennium. However, following the election of Tony Blair, and his Labour Government, in 1997, plans were redrawn and greatly enlarged. The Millennium Experience at the Dome opened on the evening of December 31, 1999, to an invited audience of guests. It was open to the public throughout 2000. Following its closure, many of the exhibits were dispersed to other attractions, or bought by private individuals. The MillenniuM Dome did reopen on several occasions, while ideas about the buildings future stagnated. In 2003, the Winter Wonderland Experience used the venue over the Christmas period. Then, in 2004, the charity Crisis used the building as a shelter for the homeless, and needy, over the Christmas period. 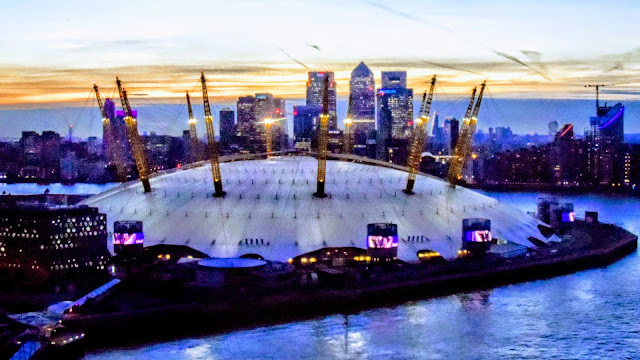 In 2005 the building was renamed the O2 Arena, following a multi-million pound deal with O2 PLC, who planned to redevelop the venue into an entertainment venue. This new venue opened in 2007, with Bon Jovi performing a concert there.